Christopher Evans is Professor of the History of Christianity and Methodist Studies at Boston University School of Theology. His research focuses on nineteenth and twentieth century Christianity, American religious history, Transatlantic Methodism, and Methodist contributions to social reform movements. 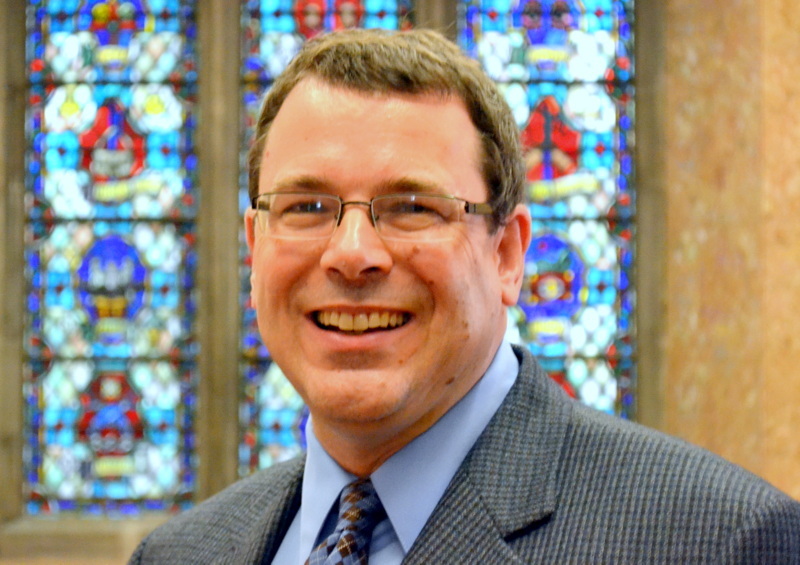 He has lectured widely in academic and church conferences on topics related to Methodist history, American religion, and religion in contemporary culture. His latest project is a biography on the prominent nineteenth-century women’s rights leader, Frances Willard. '"The Nobelist Ideals of Service": Sister Jeanie Banks's Sojourn in London's East End, 1888-1893', Methodist History, 56/4 (July 2018), 197-210. This article is based on Prof Evans's research as a summer 2017 John Rylands Research Institute/Manchester Wesley Research Centre Visiting Research Fellow. “The Social Gospel, the YMCA, and the Emergence of the Religious Left after World War I,” in Doorkeepers: The Religious Left in Modern America, edited by Leilah Danielson, Marian Mollin, and Doug Rossinow, Palgrave Macmillan, 2018. The Social Gospel in American Religion: a History. New York: New York University Press, 2017. “Reflections on the Methodist Historical Pie: Re-engaging the Puzzle of American Methodism,” Methodist Review 7(2015): 1-20. “Forum: The Role and Future of Academic Journals,” Religion and American Culture 25 (Summer 2015): 156-163. Histories of American Christianity: an Introduction. Waco: Baylor University Press, 2013. “Ties That Bind: Walter Rauschenbusch, Reinhold Niebuhr and the Quest for Economic Justice,” Soundings: an Interdisciplinary Journal 95, no. 4 (2012): 351-367. “Wesleyan Tradition,” The Blackwell Companion to Religion in America, edited by Philip K. Goff, 684-698. Malden: Wiley-Blackwell, 2010. Liberalism without Illusions: Renewing an American Christian Tradition. Waco: Baylor University Press, 2010. “Rethinking Classroom Diversity: Three Student Cultures in a Mainline Seminary,” Teaching Theology and Religion 10 (October 2007): 223-230. The Kingdom Is Always but Coming: a Life of Walter Rauschenbusch. Grand Rapids: William Eerdmans Publishing Company, 2004. The Social Gospel Today. Louisville: Westminster John Knox Press, 2001 (Editor). “History and Theology in the American Methodist Social Gospel: The Public/Private Split Revisited,” Wesleyan Theological Journal 35 (Fall 2000): 159-178.